A topic that rarely makes its way to the surface when men’s style is discussed is the underwear you choose and how it can complement your figure and overall look. For many men, including myself at one stage, it’s often a thought that is never truly taken seriously with most men electing to buy something based on value rather than comfort and especially not style. However, today I wanted to look into the importance of men’s underwear, what you should look for (in terms of quality and style) when you buy it and get some opinions from other stylists/bloggers on the topic in general. The logic of choosing good underwear boils down to the fact that it is the very first and last item you put on and take off every day. It’s not only meant for there for cleanliness but also for comfort, so finding items with a high cotton content (rather than polyester) will keep you far more comfortable and allow your body to breathe more comfortably during warmer climates. So for any man who wants to feel more confident in his day-to-day life or just wants to look a little sharper, a great place to start is in fact under the clothing. As is the case when building anything, make sure you start with a good foundation and you’ll find the result a considerably better finished piece. @MaleStylist It's the last thing everyone sees! Final impressions. Not sure about “everyone” seeing it, but you certainly get the point. First and foremost, make sure you find a fit that is flattering but also comfortable to wear on a daily basis. If the band or seams feel tight or leave a mark when you’ve worn them then they are too small for you and ultimately won’t be easy to wear. I tend to buy briefs as these are both comfortable but also have a good fit to ensure everything stays in its place (that’s as delicately as I can put it), the benefit to these is that they make thighs look more muscular and help give you a cleaner silhouette compared to the baggier boxer shorts. @MaleStylist SO important. Big no to novelty boxers & socks. Good shape and design key. Quality lasts, makes wearer feel good for sure. In terms of style, try to be experimental with your designs and patterns. Certainly don’t be afraid of brighter colours and subtle patterns where you can add a dose of your own character. In my personal opinion, I think white underwear is a dangerous choice for colour, mainly because it tends to grey quickly and shows dirt easily (again, as delicately as I could put it). Darker colours like navy and black work well and create a good contrast against fairer skin, which I have. However, the use of green, pink, red and yellow can work really well so make sure to try a few different styles to see what works for you and your complexion. The best advice I can give is to pay as much attention to your underwear as you would to any other item of clothing. Look for quality fabrics, a fit that works for you and a style that works with your tastes. 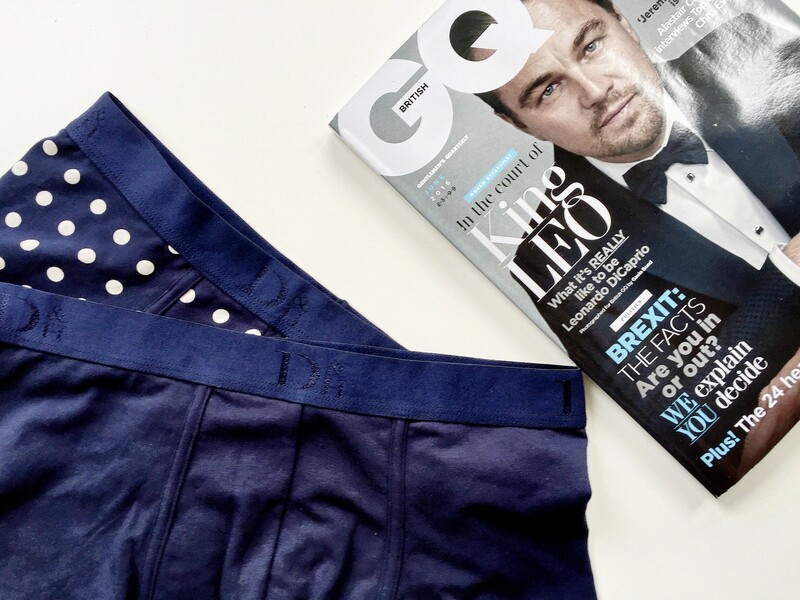 Although everyone is aware of Calvin Klein and their dominance of the men’s underwear industry, I have been so pleased to find a British retailer that does creates beautifully tailored underwear for men, in different colours and patterns that look mature and masculine. Drake & Hutch, a newcomer to the menswear industry have roared onto the market with their designs (pictured throughout the article) made almost entirely from ethically sourced cotton and manufactured in the UK. Having been wearing their Kensington Navy and Polka Dot briefs for a week now, I’ve been blown away by how comfortable they look and how nicely they compliment my frame. 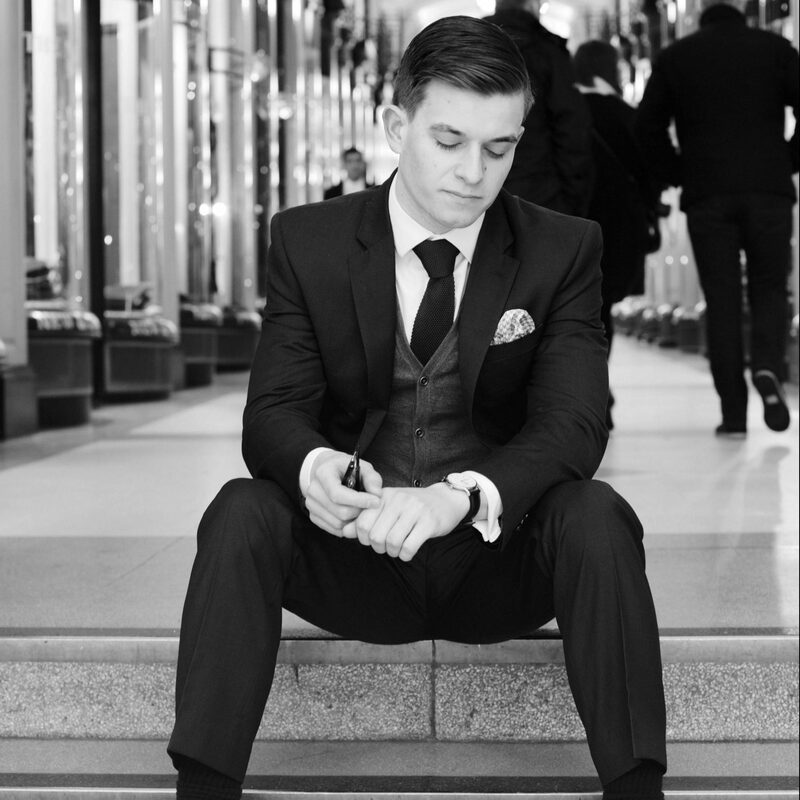 Having already been featured in Tatler as an up-and-coming British brand, as well as a variety of styling sites they are already gaining a reputation for being a high quality, beautifully manufactured product designed specifically for the British gentleman. I’m already sizing up my next order to replace my standard cKs and at £3 cheaper a pair, it’s nice to be supporting a local company whilst getting better value for my money. 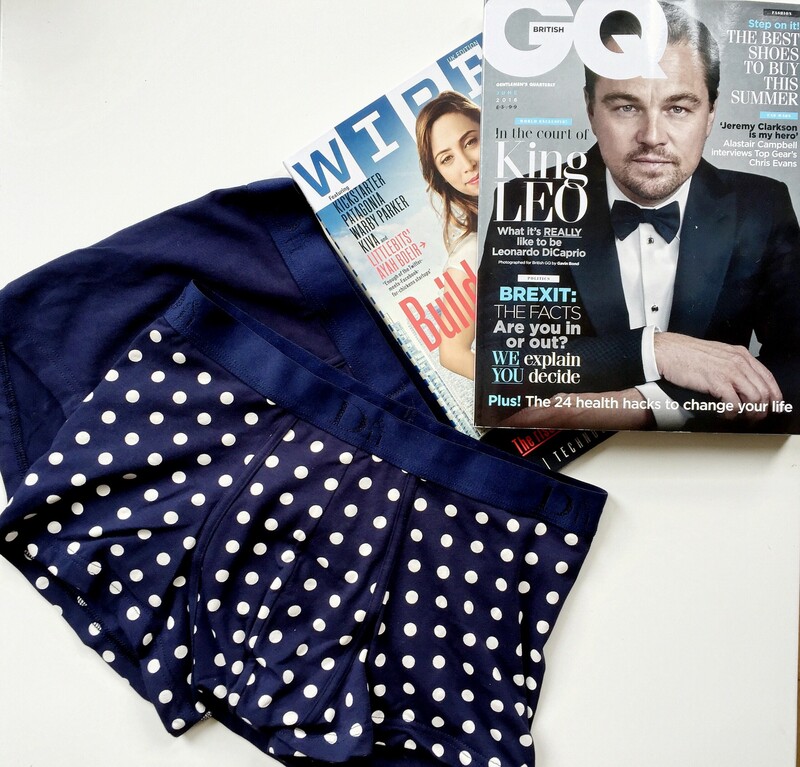 Thanks for checking out the post and make sure to let me know if you have any tips on styling underwear, top brands you love and even the kind of designs you enjoy wearing. You can also sign-up to be notified of new posts and follow The Male Stylist activity. Also, don’t forget to follow me on Twitter or Instagram for style inspiration, gentleman’s musings and general fun.